Save Time - Ready-to-ship Inventory ensures most orders ship within one business day. Save Money - Fair, Low Pricing Everyday, without gimmicks or hidden charges. Get it Fast - Multiple warehouses mean Short Transit Times and Low Shipping Costs to your home or installer. "Excellent product, excellent price. Timely delivery." This premium patented ratchet binder is unlike any other binder available on the market today. 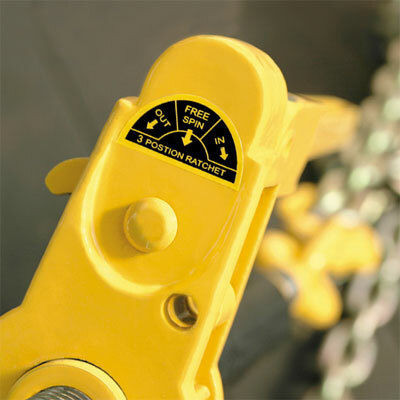 Now it is better than ever, with higher working load limits designed for use with either Grade 70 Transport or Grade 80 Alloy tie-down chains. The QuikBinder PLUS is easier to install than standard ratchet loadbinders. The 3-position pawl offers the user a choice of ratchet extension, ratchet take-up or a free spin setting for fast adjustment in either direction. A load can be secured in half the time. It is available in three sizes and features a vinyl coated barrrel for a strong, comfortable grip. The folding handle makes the QuikBinder PLUS safer (no handle sticking out) and more convenient to use. Simply fold the handle down after the load is secure or when storing on your cab rack. Stronger, faster, safer and more functional than standard ratchet binders. 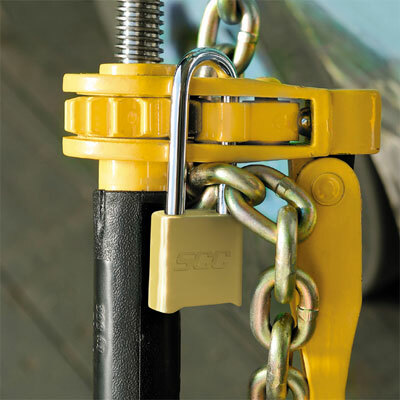 The QuikBinder PLUS can be locked to the tie-down chain with a long shank padlock, making it more difficult to tamper with the binder, assembly or the load. Padlocks with programmable combinations are also available. The QuikBinder PLUS loadbinders meet all DOT/CVSA/CCMTA requirements. 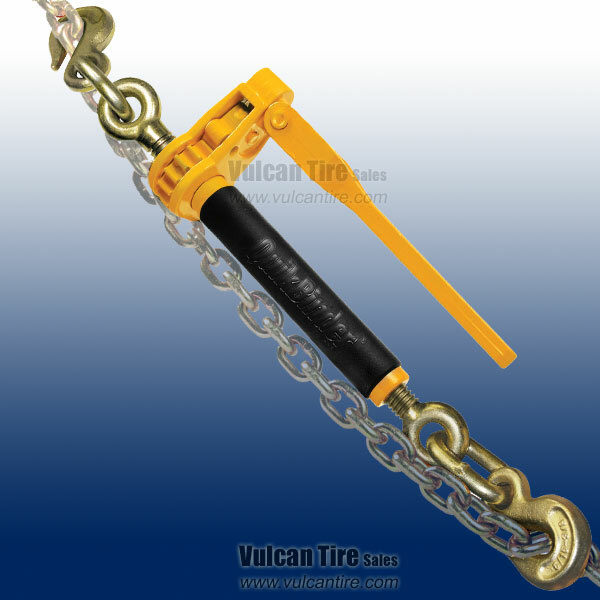 The special hook construction supports the load of the chain and will not bind. Loadbinders are heat treated and proof tested with forged heat treated hooks. The Working Load Limit is permanently marked on handle. Our loadbinders feature special links with controlled flash welds.